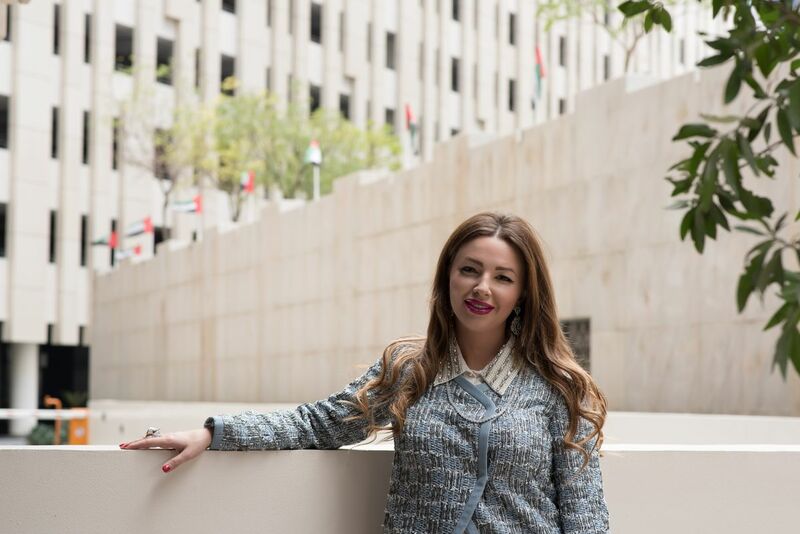 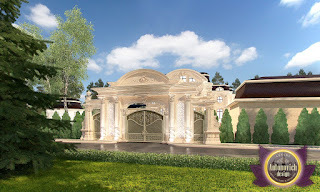 Each project Luxury Antonovich Design is a new expressive image of someone's dreams. 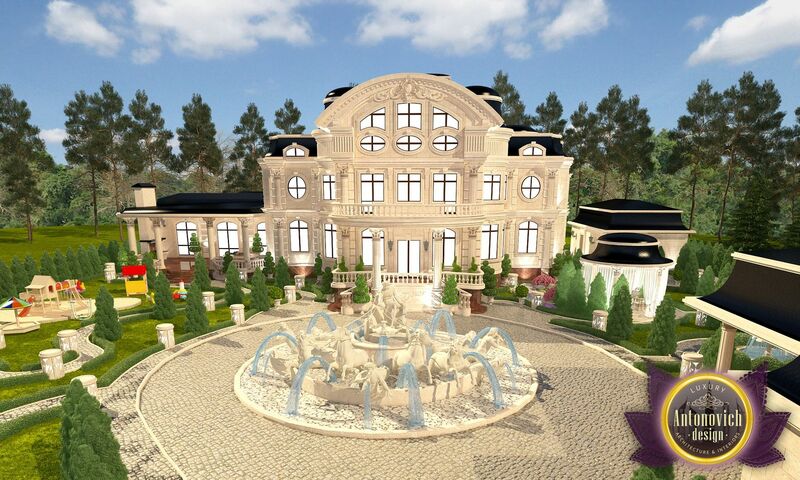 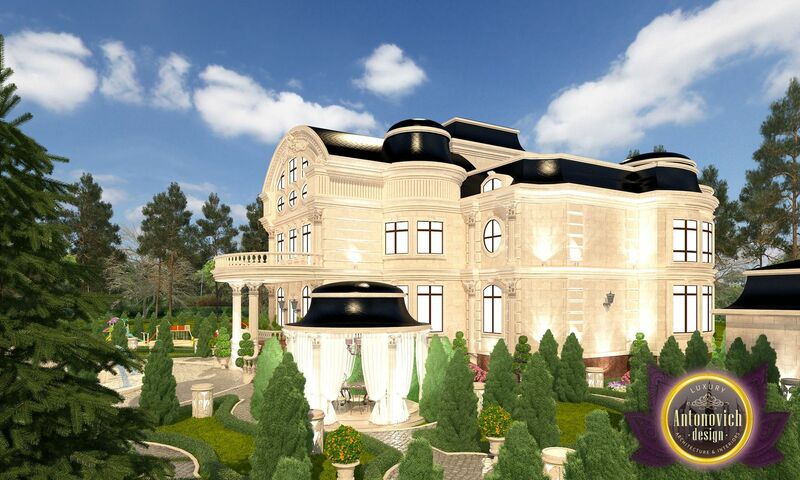 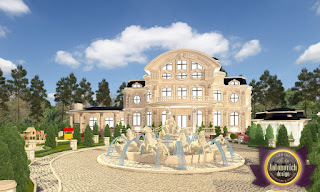 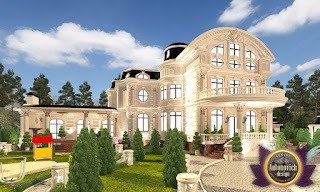 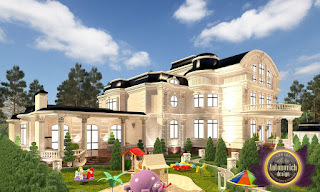 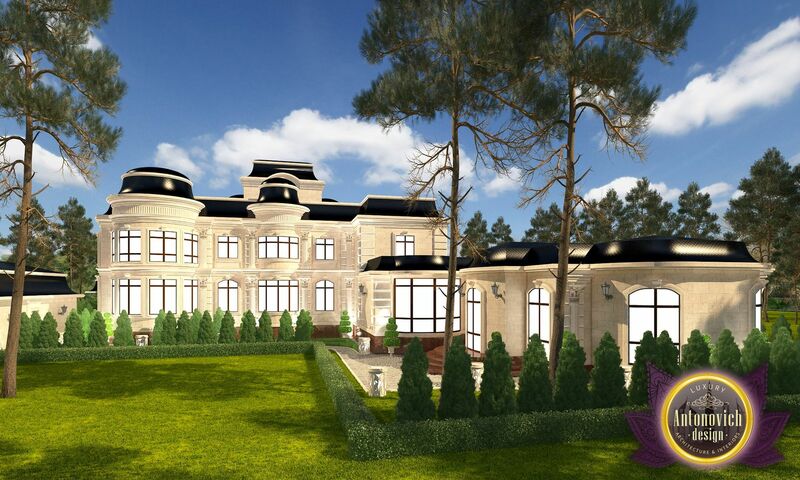 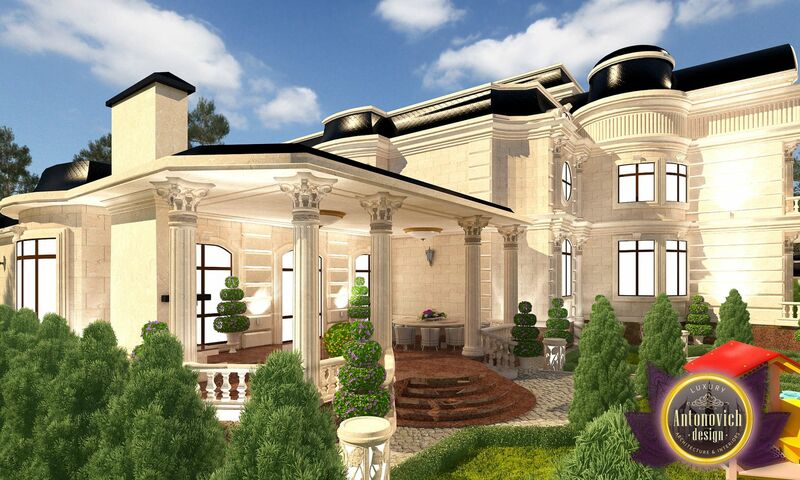 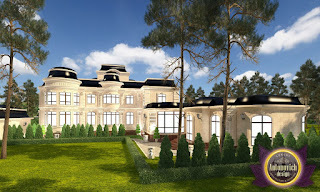 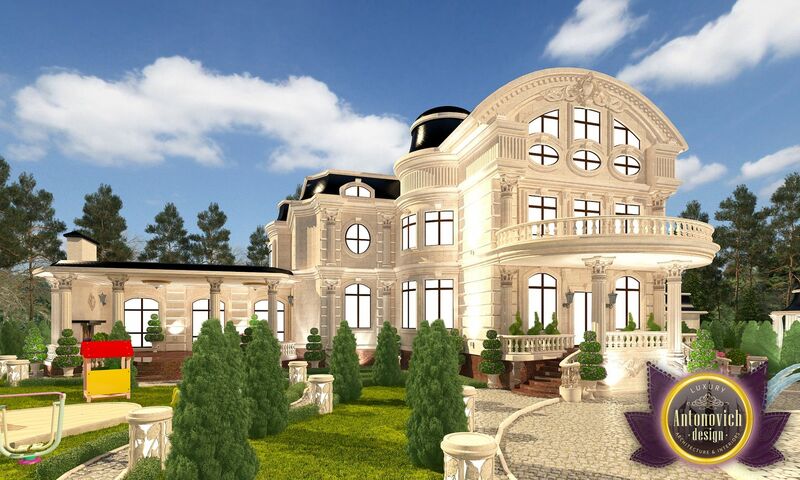 Luxury villa became the epitome of refinement of the classical style. 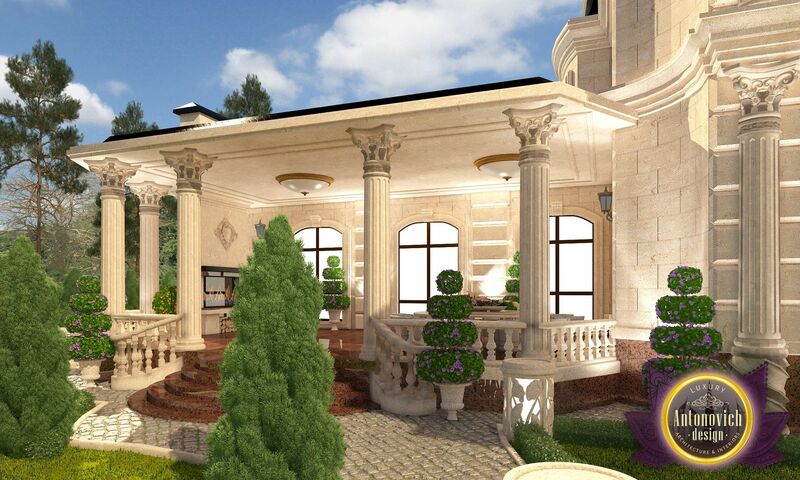 And the right first impression sets the beautiful landscaping. 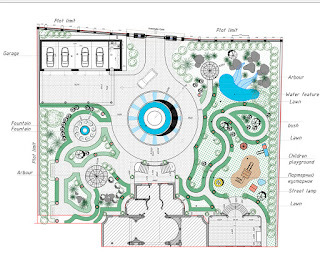 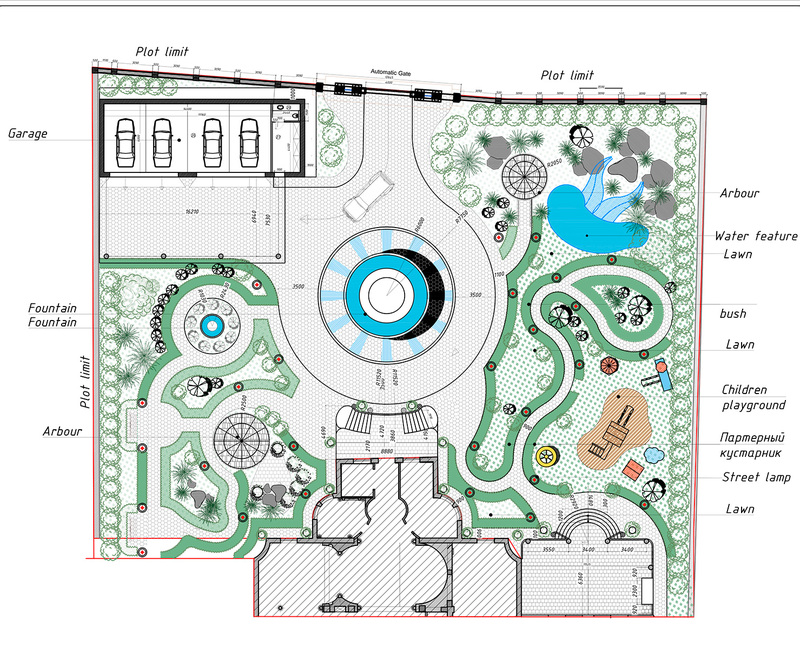 The area around the house harmoniously combines elements of the landscape such as the fountains, ponds, pavilions, playground, paths of marble, lights and an abundance of green space. 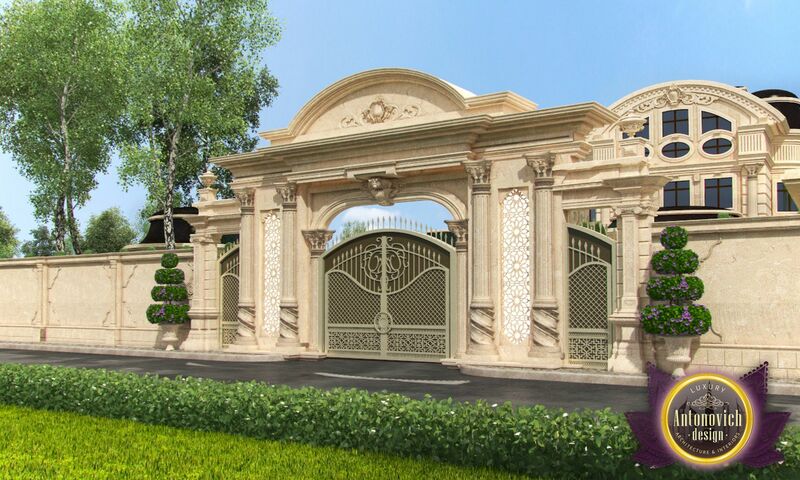 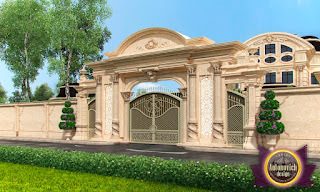 Part of a beautiful image of luxury steel entrance gate. All year area around the house give unique beauty.